My piece depicts the light within our souls. Light is energy and it can be used positively or negatively. I have tried to trap that light of our soul. 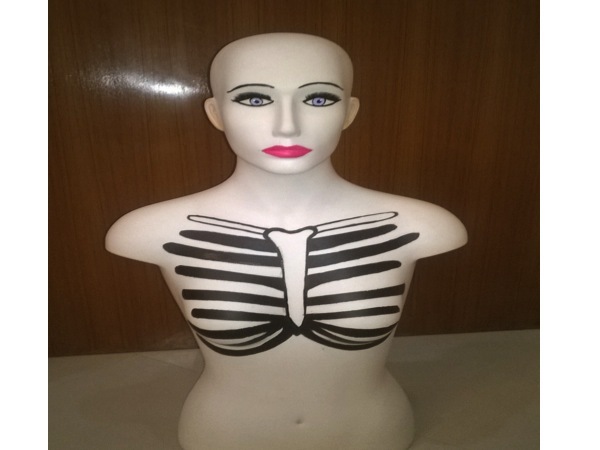 The light that radiates from the mannequin is supposed to depict the aura or energy of the person. I like to imagine that when we were created God put a little light in each of us. Now its our choice whether we use it to shine! Reanna Palia is a 13 year old student at Bombay International School, Mumbai. She was a part of Art1st Partner a Master: artist mentor program in 2013-14. And this body of work was created under the mentorship of Prajakta Potnis.